She'll always have the perfect accessories wearing the SKECHERS Shopkins: Dream N Dash - Handbag Harriet shoe. 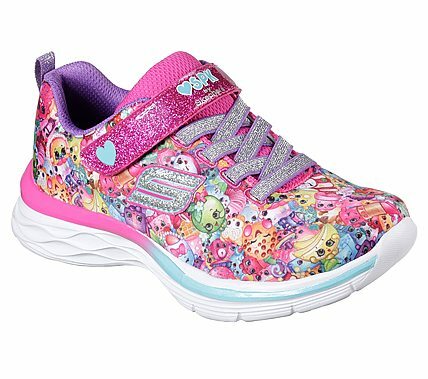 Soft satiny fabric with Shopkins® print and glitter finish fabric upper in a slip on stretch laced athletic sporty training sneaker. Gel Infused Memory Foam insole.